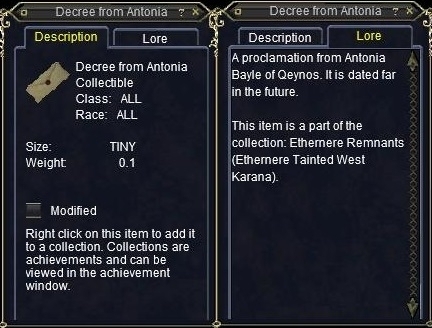 A proclamation from Antonia Bayle of Qeynos. It is dated far in the future. This item is a part of the collection: Ethernere Remnants (Ethernere Tainted West Karana).